ClearOne Chat 50 USB Plus Personal Speakerphone is a mobile audio peripheral. It can easily be linked up to many devices like laptops, PCs, mobiles, and so forth. It provides crystal clear sound. Not just that, it also supports hands-free audio communications. It has the full duplex capability that allows the users to hear or speak without having any audio cutting. This product also provides a top quality audio playback for the games, music and other files of audio. It is a bit big in size than the deck cards that make it an entirely portable device. It has taken over the market because of its excellent conferencing experience. ClearOne has incorporated a sound processing technology in Chat 50 to give high-quality sound for business and personal calls. This product is very moderate in cost. It is available at Telegiants, and they are offering this product with 30 days money back guarantee. It provides wideband audio with plug and plays feasibility. It gives rich sound because of which the user can hear all audio files. It can replace the headsets and headphones as it is more convenient to use. It doesn't limit the user to one place only. It is portable because of which the user can easily move to any place while staying on call. The design of this product is exceptionally smooth and attractive. 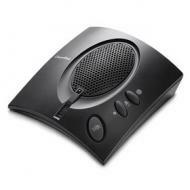 ClearOne Chat 50 Global Traveler Personal Speakerphone is a unique audio peripheral. It can be linked to a wide range of devices. Providing crystal clear sound is awesome. It also offers playback as well as hands-free audio communication. Due to this reason, it is used in many organizations. 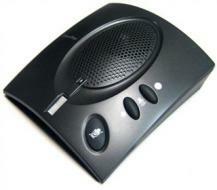 Those people who work from home should get this speakerphone to enjoy hands-free audio communication for a long time. This model has a long USB cable that could be linked to any telephone or mobile phone. Therefore, people can have long calls either on their mobiles or telephones without getting exhausted. This speakerphone has a full duplex capability which makes it different from the rest of the speakerphones. Those who are sick of using headphones or headsets can use these speakerphones instead.